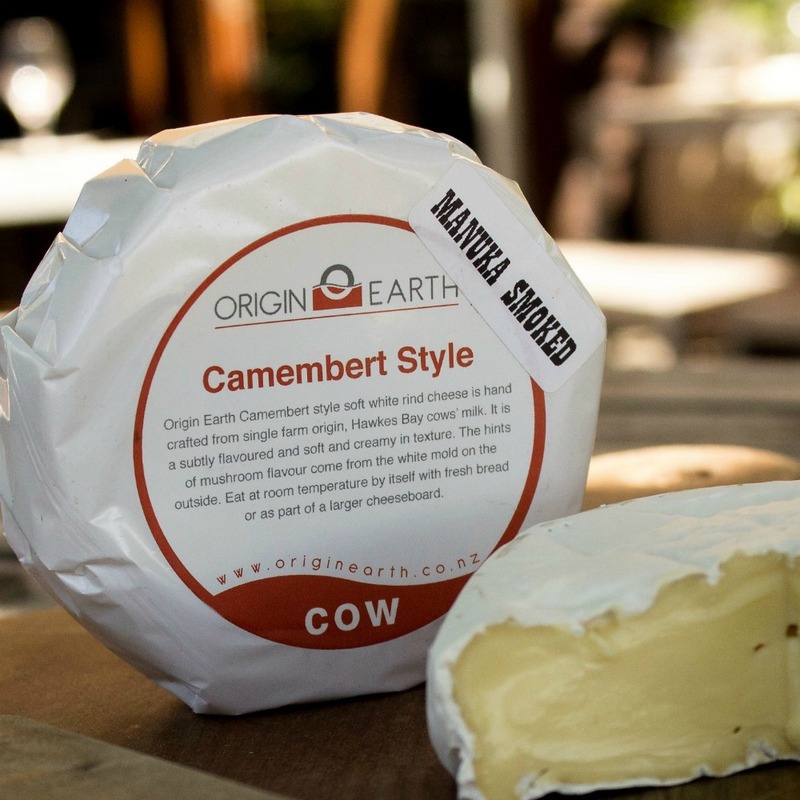 Gently smoking our Camembert over Manuka produces a creamy Camembert with an enhanced flavour of smoky mushrooms – this is a cheese with a unique flavour which is great just spread on good bread or crackers, but is equally at home on a cheese board where it is sure to be a hit. Or try it in sandwiches and salads. Turn a homemade burger into a taste sensation by adding slices of this cheese and some sautéed mushrooms. To fully enjoy its full flavour, make sure it is at room temperature when serving. Try Manuka Smoked Camembert with the following foods: sliced crisp apples; fig chutney; rustic bread; grapes; sliced crisp pears; and segments of sweet oranges. Ingredients: Hawke’s Bay cows’ milk, cultures, coagulant. Smoked over Manuka.